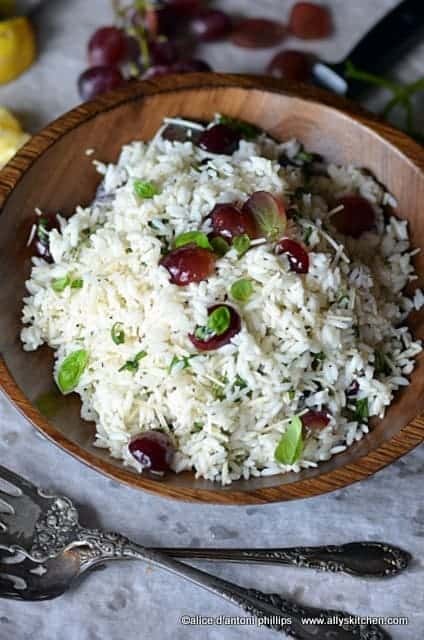 I happen to love rice, especially when it’s made into this refreshing rice grape and basil salad. 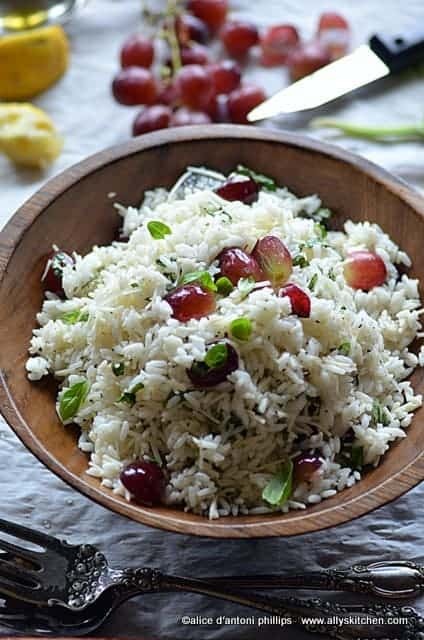 It’s simple to prepare and with the light and flaky rice that adds just enough tender texture for the sweet juice grapes and hint of fresh basil, you’ll not get a heavy feeling after eating! 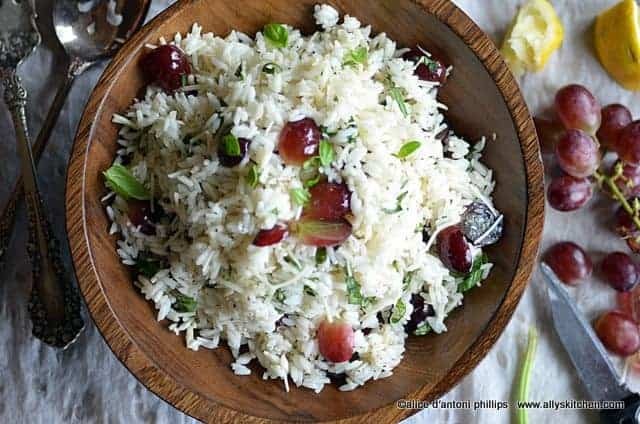 I used Delta Blues Rice. They’re a family company located in Ruleville, MS. They also make ‘rice grits’ too…if you wanna know more or order then just clicky. My good buddies from Let’s Eat Ya’ll introduced me to this rice, and I must say, thank you, Andy and Marianna! Love to support local artisans! Rice. Such a ubiquitous food. It serves as nourishment for many people around the globe. In fact, it’s the staple of over half the world’s population! And, the history of it and how it’s influenced different world cultures is fascinating. There’s long, medium and short grained rice. 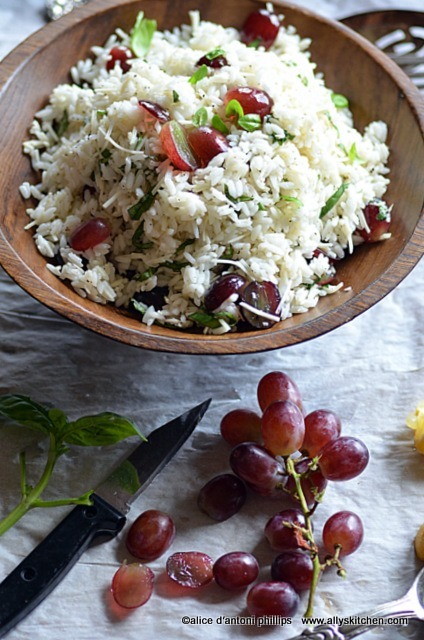 Then there are various types, red, brown, white, black, basmati, jasmine, purple Thai, wehani. And, if you want to read more about the varieties, well, get ready for a ‘novel’ according to what Wiki says! Spend some time studying rice, and you’ll get a rich and complex global history lesson. That’s the beauty of food! Leftovers keep well for a couple of days refrigerated!